I’m always looking for new products that are easy to get, inexpensive, and unique. I just found a new air dry clay that me and my kids have fallen in love with. It’s amazing to work with, doesn’t have a strong scent and comes in amazing colors that mix easily. It would actually be great for a color mixing lesson with a small group. It dries quickly and has the consistency of Crayola’s Model Magic when dry. Though, it feels more silky when working with it than Model Magic. In fact, one of my kids said that while wet, it reminded them of slime. This is not for highly detailed work. Stick to Polymer Clay like Sculpey for those types of sculptures. But ages 3-adult got a lot of enjoyment out of it, and came up with some really cool stuff. 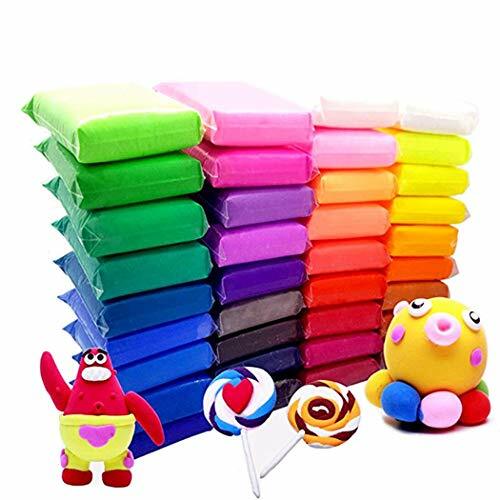 At around $11-12 on Amazon for 36 small packets of a wide variety of colors, I felt like it was a steal. Check it out here and let me know what you think!